Faux blinds have many features that make them a favorite in any home. The elegant style faux blinds brings to your living room or any room in your home is the reason most people select them. The sleek wood can add to a classic look, a rustic log cabin look, and even contemporary. These blinds fit in anywhere and with any style of indoor décor. There are three types of finishes with faux blinds you can choose from; smooth, sandblasted for that rustic look, and embossed for a more contemporary look. It is hard to decide which finish is best because they all look great. Faux blinds conform to the required safety child guidelines ensuring no children will get caught up or tangled in any unnecessary and extra cords. 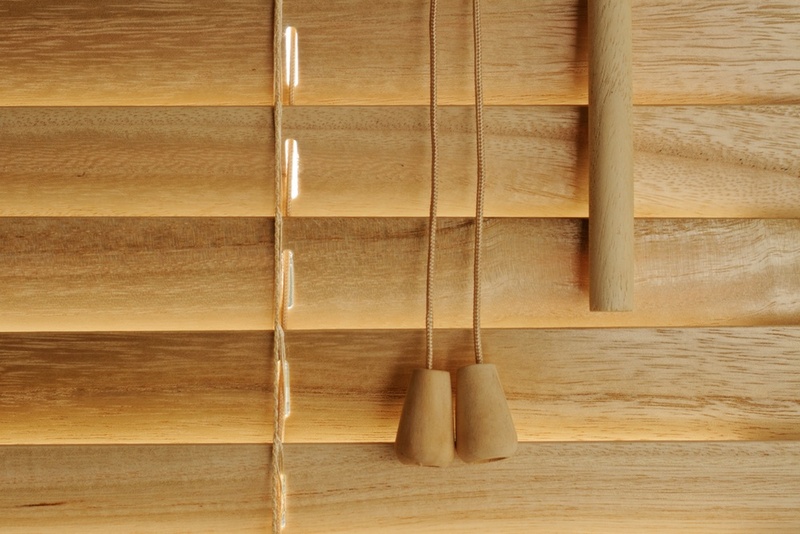 You can choose from a wand style or a cord tilt for the faux blinds you choose. In addition, sun facing windows cause blinds to fade easily. The wood includes ultraviolet inhibitors, which protect the blinds from fading and needing to be replaced. The wood is also resistant to moisture and getting wet if you accidentally leave the windows open when it is raining. The warp, heat, and moisture resistant ensure your faux blinds are going to last for a long time. Another feature of the faux blinds is you have the option for remote operated blinds. This means you don’t have to fiddle with the want or the strings that can be so frustrating when trying to adjust them just right in the light. Now you can manage the blinds with ease by a remote control and never have to leave your chair. Faux blinds are easy to install and usually include all of the mounting materials needed to mount them. They also include a head rail that matches the blinds. Therefore, you don’t have to go out and buy a valance to hang over the window. The head rail has just enough style and makes the blinds look classy. Faux blinds add an amazing touch to your room with the right style. With the option to have them remote controlled, who can resist them?